Life insurance is a foundational element of a sound financial plan. 1. What Is a Term Life Conversion Option? Unlike a whole life insurance policy that can cover you from the cradle to the grave, term insurance, as its name suggests, only provides coverage for a set period of time. What happens when your term life insurance policy comes to the end of its term depends on the provisions of your policy. Term life insurance is designed to provide financial compensation to your beneficiaries in the event of your death during a specified period of time. The length of this term is defined by your policy, such as 10, 20 or 30 years. Once your policy matures, or reaches the end of its term, it ceases to exist. Your term life insurance policy expires and your coverage stops. Some term life insurance policies offer a guaranteed renewal feature, which allows you to automatically qualify for a new life insurance policy without the need to have a medical examination. The premiums for the same amount of coverage will typically be higher, since you will be older than when you signed up for the original policy. If you are in good health, you might consider shopping around to see if you can find a comparable policy with another insurance company at a lower rate. Some companies offer a return of premium feature. Provisions vary from company to company, but essentially as long as no death benefit has been paid out, once your policy matures the insurance company will return all or a portion of your premiums. This kind of term policy is typically more expensive than a standard term policy. A return of premium feature should not be confused with cash value in a whole life policy. Term life insurance does not build up any cash value, and you are not entitled to any return of premium if you cancel your policy prior to maturity. Your term insurance policy might offer a conversion privilege that allows you to convert your term insurance policy to a whole life policy without a medical examination. Conversion privileges are usually only available for a specified period of time during the life of the term policy, and typically don't extend beyond the term policy's maturity. 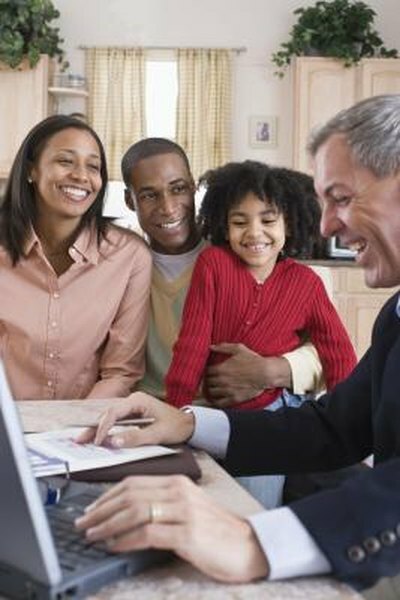 Insurance Information Institute: What Are the Principal Types of Life Insurance? Insurance Information Institute: How Should I Choose What Type of Life Insurance to Buy?